Do you often experiment with skincare? Personally, I've become a lot more experimental as time has gone on. I might be gravitated towards learning about a much talked about brand or possibly checking out a product that so many seem to be using (case in point, NIOD, or my new found love, Votary). I used to be stuck in my small little box when it came to skincare, using very basic things and really not even knowing what they did. Skincare frightened me, if I'm honest! It's such a relief that I'm so open to trying out so many things now. But if you're stuck looking in a new 'category' of skincare (ex. natural/green, vegan, etc), and are not equipped with knowing HOW to breach out or WHAT products to choose from, possibly a mix of the two and more, then subscription boxes like The 3B Box might just be your own fairy skincare godmother in disguise. The 3B Box is an Asian beauty curated monthly subscription box that focuses on helping you discover new products and brands from low to high-end Asian companies (Korean, Japanese, Taiwanese). Brand examples being Sulwhasoo, Etude House, Skinfood, SK-II, Dolly Wink, Lioele, etc. It's curated in such a way that you get a variety of products: skincare (sheet masks, lotions, cleansers, etc), haircare, nailcare (nailpolish, etc), and makeup (eyeliner, eyeshadow, etc). 3B, Beauty Beyond Borders, believes that you shouldn't be "limited to what country you live in or what language you speak" when it comes to products being available to you. In having that in mind, 3B Box's mission works to create a bridge between the limitation of country and language. The main goal of this subscription box is that it acts as a middle man between you and these sometimes hard to get products. 3B Box is an easy way to try a bunch of different brands and products at a low cost price ($12/month + free shipping), with each box including 4-5 deluxe samples (sometimes full sizes!). Each box is carefully hand-selected by The 3B Box beauty advisors based on cult status, new products on the market, and some of The 3B Box ladies' personal favorites. After trying the samples, you can make a good decision about whether you'd like to buy any full-sizes or not (or possibly look into trying other products from the brands you sampled from). 3B Box has three different subscription choices: month per month renewal subscription is $15, six months renewal subscription is $14 (save 7%, 84$), and a full year's subscription is $12 (save 20%, $144). In any case that you need help, would like to cancel, or want some beauty help, 3B Box customer service can answer any concerns or questions you may have. As of October 7th, 3B Box's online shop has opened! You can now easily buy the full-sized or mini-sized products featured in your monthly box, which is a great addition to their already impressive subscription service. They also feature a lot of other different kinds of products and cult classics, with free shipping for orders over $50! Buying straight from 3B Box will make it a lot easier to get authentic products that are sometimes harder to get, especially since otherwise you might be paying high shipping fees coming from S. Korea or risk buying a fake from Amazon/eBay. All in all, a major plus! The best part about this sub box is that you don't need to know Korean or Japanese to be able to use the products, as each box includes a card that gives you a summary of the product and how to use it. What it is missing, however, is the ingredient list. A google search might help you in some aspects but with inclusion of indie brands it might be harder to find out. Unfortunately they do not ship international but they do have a waiting list. I highly recommend for those non-USA to sign up for the waiting list (you don't need to give any payment info), so that you'll get word once it does open up. I was kindly offered to try two month's worth of products to test out 3B Box's quality and variety of products included in their boxes. Both boxes of products were put into a cute little purple pouch, which was a nice little touch! Both of them had five products included. I was impressed to see that a sheet mask was included in the two boxes, both from Leaders, which I think is a major plus since sheet masks are a quintessential Asian skincare product. It might have been nice to include a different brand for each box but seeing as it's my first time trying Leaders as a brand, I wasn't too fussed (plus they are two different kinds of sheet masks!). Both boxes I was sent were fully Korean skincare-based, with no Japanese products, but I don't see anything wrong if boxes happen to be fully one or the other. Pretty much all of these brands (except for one) I had never tried before! I've used Etude House sheet masks and other products for a while now, so as a brand they are not new to me but the product was. Two months subscription worth of products and I tried every single one to test it, and I have to say that overall I loved almost every single product. Only one I wasn't so keen about, which was the Dewytree nose patch (not a fan of nose patches in general, so nothing against the brand/product itself, just my personal preference). 3B Box curates a very balanced variety of products and does well to include both high and low end, that's what makes it such a great subscription box and why I think so highly of it (especially for Asian beauty). Its strength in that allows you to get a good sense of the product and then think about the next steps you'd like to take, whether to buy a full size or buy more products from the brand etc. As a subscription box, I think 3B Box is a vital one to subscribe to (especially for those interested in Asian beauty) as you easily get to drip into many different brands/products you otherwise might not experiment with. This especially is true for those who are new to Asian beauty, in general. I'm definitely going to look more into Hera, Sulwhasoo, Aritaum, and Skinfood. Those four really impressed me and even beforehand I've always heard so much about but hadn't tried any products from them. Sulwhasoo is a luxury holistic South Korean brand that focuses on using 'hanbang' (traditional Korean herbal medicine) ingredients with science-based skincare technology. By drawing on "Sang-Seng" philosophy, the belief of coexistence and balance of body and mind, inner energies are balanced to contribute directly to "a nourished, healthy complexion." They believe that as skin ages, "vital energies begin to taper and fall out of balance," therefore enacting "Sang-Seng" works to fight against aging, dehydration, and dryness. Sulwhasoo also prides themselves on using natural products native to Korea, especially their ginseng (they use 4-year old ginseng which has higher saponin content to boost anti-aging and anti-oxidant effects). 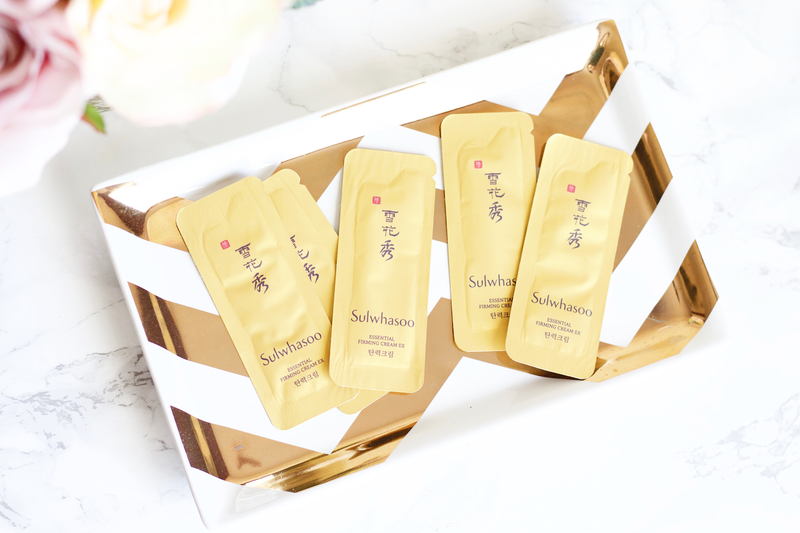 If you're familiar with the name Sulwhasoo then you might instantly think of their products containing the herb ginseng as a main ingredient or maybe their First Care Activating Serum (which is an HG to maaaaaaany, although I have yet to try myself!). This year actually marks the 50th anniversary of Sulwhasoo's research into ginseng. Sulwhasoo's Essential Firming Cream EX is blended with potent Korean medicinal herbs to firm and tone while stimulating collagen for long-term lift. Adlay millet detoxifies and promotes elasticity while promegranate, green tea and ginkgo fight free-radicals to maintain a youthful radiance. Included by 3B Box is 5 packets of 1ml worth of product, easily giving you a good full rounded trial of the Essential Firming Cream EX. It's worth pointing out that this is not the same as their Essential Firming Cream, it's just another variant of it with extra boosting qualities of goji berries, black beans, and arrowroot (Sulwhasoo tends to re-introduce products with the 'EX' added at the end, always evolving as a company to give the best ingredients and outcome to their consumers). I was very happy with the 1ml amount, it fully covered my face and was very soft as I worked it into my skin. I think you can even use this twice for one packet, as I had a good amount left over for each one (I would put the leftover cream into a decant container and then keep in the fridge, was quite helpful!). Although 3B Box says that you can swap this with your AM and PM moisturizer, I would only use this at night because it feels too heavy to use during the day. It has a very strong spicy smell, almost verging on citrus-y (Citrus Unshiu Peel Extract one of the culprits for this), that's the best way to describe it. There are many different kinds of Chinese root extracts included in this, along with leaf and seed extracts and oils. Green Tea leaf extract and Licorice root extract are up at the top, which I'm mostly happy to see as they are two of my favorite ingredients in Korean skincare. Just to let you know: there is added fragrance but it is at the bottom of the ingredient list and I honestly don't know what could be added since the smell is so so spicy? After using it consecutively in my routine, I'm not sure if I can say it did anything with firming my skin (besides providing some minimal hydration and softened texture) but for the sake of hanbang I was in pure heaven. I think I would need to use this more to really get the true benefits and see how I do with it. I don't know if I would buy this myself but I'm for sure going to buy some Sulwhasoo skincare now since I got to try this out! DEWYTREE is a natural-based South Korean brand that claims to "heal the pain of skin" by providing their clinically proven "nature recipe" that heals tired and exhausted skin. They focus on providing pure ingredients that are dermatologist tested and are made for the most effective condition of our skin. They note that their cleansers have a slight acidic value. They have many different kinds of skincare lines, ranging from their Aqua Collagen Peptide Line ("Moisture, whitening effect and anti-wrinkle care to skin at the same time") to their 7Cut AC Dew Trouble Calming Line ("the best solution for blemish skin"). Each line has multiple amounts of products to work to their best efficiency to provide a maximum solution. They even have a full Tea Tree line for helping pores, with a toner, serum, and clay mask (definitely have this on my to-buy list!). YesStyle seems to be the only place that stocks a lot of their products as they are an authorized retailer of DEWYTREE. 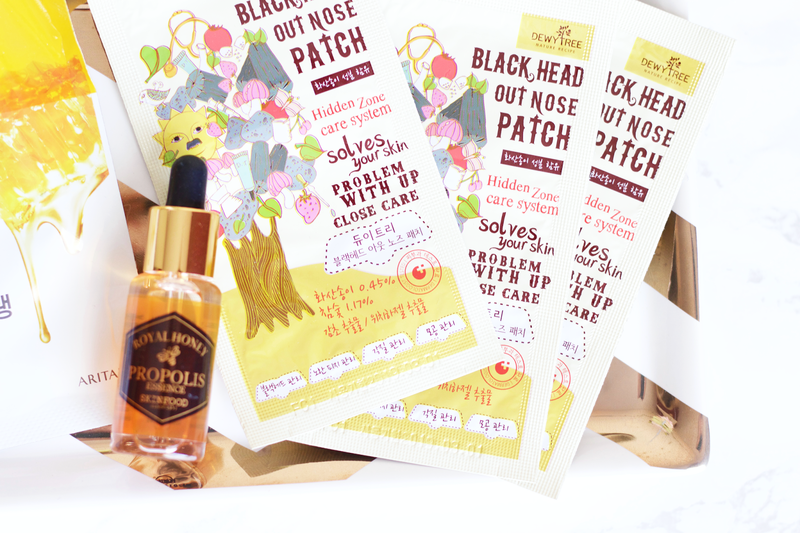 Blackhead Out Nose Patch "contains volcanic clay and charcoal that scours pores clean while also detoxifying skin of impurities." It claims to be very gentle unlike most pore strips, even with using volcanic clay. It has five simple steps for how to use it: 1) remove the transparent film from the patch, 2) wet the area where you will be applying it, 3) apply the rounded contour section in the middle of the pack to the tip of the nose and stick it closely onto the skin, 4) let it dry and then wait 15 minutes, 5) after checking if it's dry you can then pull it off. I used this only once and was not a fan of it. Not because of the product itself, but as I mentioned before I am not a fan of pore strips in general. I think for those who like strips, this is a very gentle one and you might like to try it possibly. I can't recommend it though due to personal preference. I am interested in trying some of DEWYTREE's other products, however! Ingredients: cosDNA has the list of ingredients for the product. Aritaum is a brand under the umbrella of Amore Pacific Corporation, which houses other well-known brands such as AMOREPACIFIC, Sulwhasoo, Etude House, Mamonde, Innisfree, Laneige, IOPE, HERA, etc. Aritaum is multi-brand store that sells Korean beauty products of both high and low end from APC, and works an online store to 20 different countries. Aritaum also has their own branded beauty products, ranging from skincare, makeup, nails, and hair. Aritaum as a brand is on the drugstore/lower end side. Fresh Power Essence Pouch Honey Sleeping Pack is a sleeping pack (aka night cream) that contains 200mg/10ml worth of honey to nourish and hydrate the skin while you're sleeping. Honey is full of anti-bacterial properties and skin-boosting antioxidants, which works wonderful in this case of using it in the last part of the routine and waking up with refreshed, glowing skin. You must rinse it off in the morning and each pouch can be used for 2-3 applications (I would store mine in the fridge after each time). You can also use this as a quick masking product after cleansing, just leave on for 15-20 minutes and rinse off. This was the first time I ever tried anything from Aritaum and overall my first time trying a sleeping pack. I'm a big fan of May Lindstrom's The Honey Mud, so I was eager to see how it did for me and whether or not I'd be interested in trying out over variations of this product. It comes out as a clear, light gel and you really only need a little amount of product since it spreads out so easily. It has a kind of medicinal smell mixed with alcohol and something else (I can't pinpoint exactly what), which didn't bother me much, but I would keep that in mind if you're sensitive to scents. The 200mg of honey is what really peaked my interest and it was interesting to keep it on as I slept. I'm not sure if I'll ever be a big fan of sleeping packs, at least maybe not ones like this (I might try other ones to see), because I felt like I wanted to wash it off half-way through the night a couple of times (I'm a light sleeper). I don't see any problem with doing that if you're uncomfortable, of course, but I wanted to really get the best benefits by doing it how it's supposed to work as a sleeping pack. I think with my skin type I'm not the biggest fan of honey without any added mixture? I love The Honey Mud but it's not just honey, it has other beneficial ingredients and herbs and so on included in it (plus I tend to mix it with The Problem Solver when I do a mask). I do like this sleeping pack though, my skin felt amazing when I woke up and so soft. I think this is one of those products where you just have to get used to it and then it ends up being a big favorite of yours (so many have been like that with me, I am quite finicky!). I for suuuuure want to try more variations of this product from Aritaum! Skinfood is a food-based brand that focuses on using only the highest quality food ingredients to create a "beautiful, healthier lifestyle." They believe that "nutritive food results in nutritive beauty for healthy, beautiful skin." They use eco-friendly and sustainable growth methods to get the best ingredients for their products, like using Brazilian black sugar, South Asian royal black honey, French grapes, fresh Cheojeong-ri mineral water, and organically grown tomatoes, lettuce, and cucumbers. They have a food line-up page where you can choose certain foods and see which products use those specific foods. 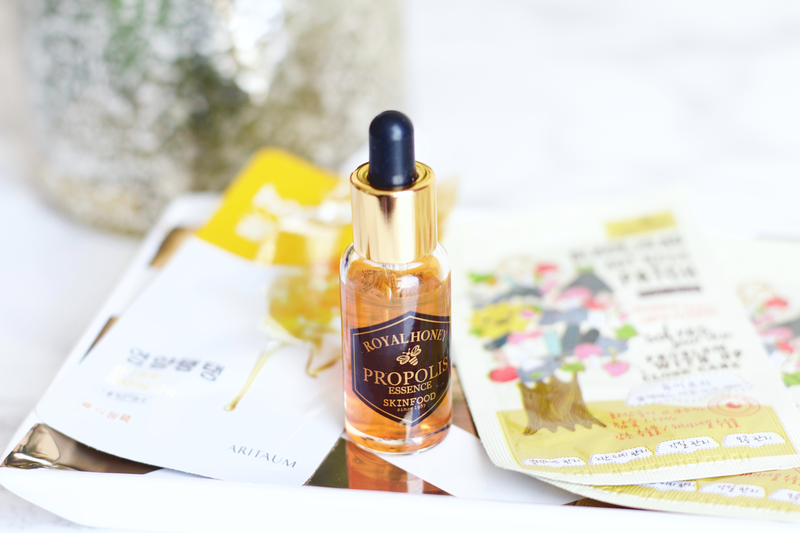 Royal Honey Propolis Essence is a semi-thick essence made with 50% Black Bee Propolis extract, 20% Royal Jelly extract, and 10% Royal Black Honey extract. 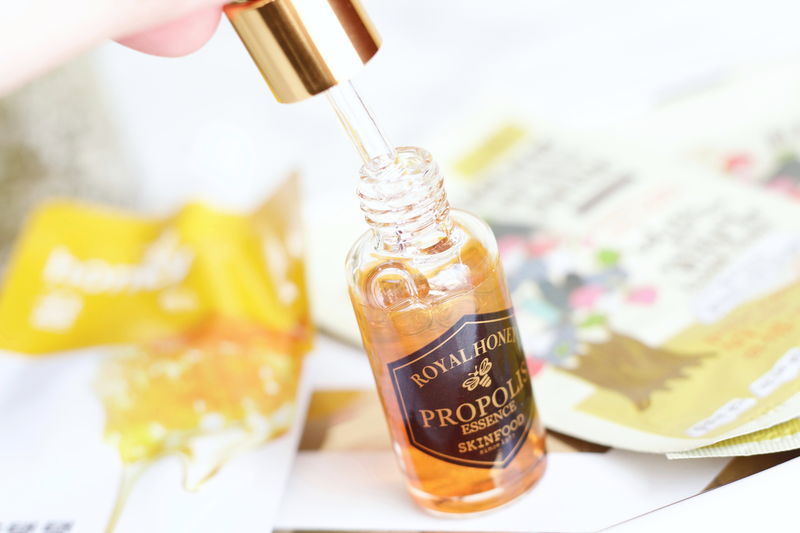 Propolis is a "natural resinous mixture produced by honeybee's from substances collected from parts of plants, buds, and exudates," bees use its waxy texture to repair their hives. It's a botanical mixture including bees own saliva. It is anti-inflammatory and non-comedogenic. Skinfood claims that this essence "enhances skin protection, radiance and moisture." The instructions are to use after a toner, "take a pearl-sized amount, gently apply on entire face, and allow to absorb." Skinfood's Korean webpage of the product shows you a lot more information, by the way (with pictures, reviews, etc). It's only fitting that I talk about another honey product after just getting done with Aritaum's honey sleeping pack. I'm used to light essences normally, my go-to has been LJH's Tea Tree essence and it's very watery and absorbs so nicely into the skin. This essence is not really thick but it's not really thin, either? It's like in the middle, I would say. I definitely can feel it on my skin when I apply it and once it has set. I have to be careful what I layer so that I do get any pill happening with products (which didn't happen but I'm always careful). I can 100% say that it definitely is moisturizing and my face looked quite radiant after using this consistently. I only used this at night since it wasn't very light, but each morning afterwards my skin would just look glowing and be really moisturized still. The percentage of honey in this is sooo interesting, I don't know about you but it interests me! It's all placed at the top and made to be the importance of the product, which makes me feel like Skinfood is really taking it seriously their dedication to food-based skincare and wanting great results for their consumers. The amount of the extracts definitely adds to why its consistency is the way it is. 3B Box says to apply 3-4 drops after toning and I think that 2 drops was really just enough for me as I didn't want to apply too much. Korean skincare is very much a fan of the whole 'patting' technique with products, and this one works no different from that, so make sure to pat it in well to allow efficient absorption of the product. It also doesn't really have a scent, so those who are sensitive to fragrances will most likely be okay with this. You might notice Sodium Hyaluronate (yay moisture) and Portulaca Oleracea Extract are included as ingredients. Portulaca Oleracea is a succulent that's known to be used in medicinal properties but also in skincare for its anti-inflammatory and anti-microbial benefits. I'm unsure if I would buy this as a full size but have you seen the packaging? It's so pretty! The dropper and bottle is so so lovely. I would really recommend this product to those with normal/dry skin, as I think those with oily/combo skin would like this more so once it gets quite cold and we need a heavier layer of products to use. HERA is a premium South Korean brand that emulates SEOULISTA: the Korean woman who captivates the world with her confidence, dignity, boundless passion and beauty. It's a very modern and Westernized themed brand that takes endless inspiration from the iconic women of Paris and New York. SEOULISTA ('Exceptional Beauty from Seoul') is HERA's muse and "not only represents Korea, but also stands as a beauty icon who contributes to a differentiated culture that goes beyond beauty brands to spread it all over the world." HERA also has developed a unique cell science for their skincare products, by using cell-bio technology to create four patented technologies: Cell-Bio Fluid Sync™, Cell-Bio Omnifocus™, Biograph™, and Bio-Melasolve™. HERA's skincare cell science has been put through human case studies, as well as multiple amounts of research studies and countless hours of in-lab studies. I really was so impressed reading through these pages and looking at their research, even though they seem to take from a small sampling (it's still quite impressive). 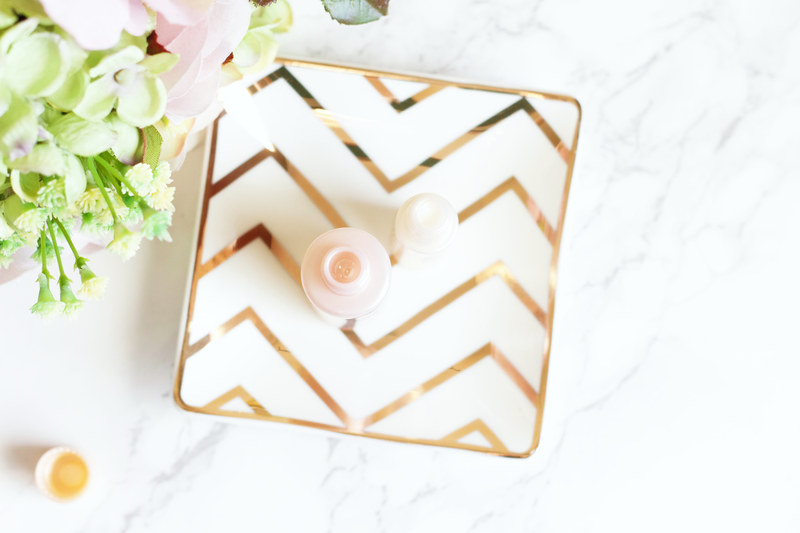 I've wanted to try HERA skincare and makeup for such a looooong time! I was so happy to see these samples included, especially as a serum since I love Korean serums. 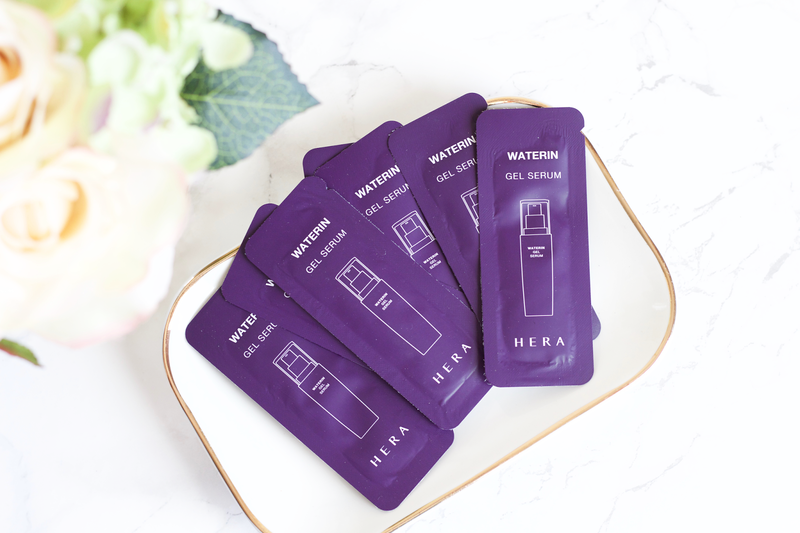 Waterin Gel Serum is an intensely hydrating serum that awakens the skin with fresh moisture and uses a gel-type essence to form a softly-textured shield of moisture on the skin. The consistency of this product is actually quite light since it's a gel, and spreads out really easily. I do well using gel-type products since I have oily skin and they absorb a lot easier than other textures for me. Let me just say that this does have a somewhat strong perfume-y fragrance, so those who are sensitive probably won't like this. For me I absolutely loooooved it, smells so so pretty. It really makes the whole SEOULISTA image come to mind, so refreshing. There a two factors that contribute to why this is such an amazing and unique product. First is the inclusion of pinitol extract from carob, which is a stable ingredient that balances and retains moisture. Second is the molecule Biosaccharide Gum-1, a polysaccharide made from sorbitol (derived from fermented plants), that binds water to skin to help retain moisture and keep texture smooth and soft. I also found that Hydrolyzed Hibiscus Esculentus Extract is a botanical farther up on the ingredient list, one that I believe helps with anti-aging properties and acts as a good skin conditioner. HERA says to apply this after your emulsion step and that it can be used both AM/PM routine, which I used in both and had no problem at all. I honestly would loooove a full size version of this! It's been so amazing to use this in my routine. I feel like my irritated skin has calmed down a bit and that it's gotten some much needed moisture back. I have my eye on HERA's brightening products, they sound so great also. Etude House is an affordable South Korean brand that has a very youthful and sweet romantic theme to their products. They sell a mass amount of items ranging from skincare to cosmetics. Etude House mainly caters to a younger audience but age really isn't a factor for using their products since they do have such great cult items like their cushion foundation, etc. EH is undoubtedly one of the most well-known brands when it comes to Korean beauty. 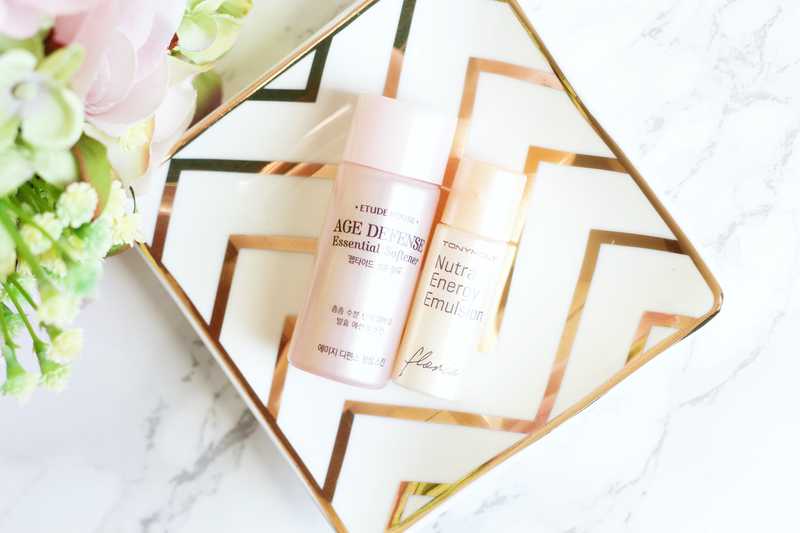 Age Defense Essential Softener is a softener that "provides smooth and firm skin from the inside, keeping skin moist by delivering moisture deep into the skin's dry insides." A 'softener' would be comparable to a toner but it does not work the same way. Korean 'toners' significantly vary in difference from Western toners, as Western toners tend to be more harsh and astringent in nature. Korean 'toners' (rather, softeners) are used to nourish and restore moisture back into the skin that was lost after cleansing by delivering moisture to the deeper layers. It's also used as a way to help prep the skin to better absorb and enhance your essences, serums, and moisturizers. You can either apply it straight onto your face or use a cotton pad/ball. Softeners will often have a viscous consistency but appearance-wise will be reminiscent of a toner by being translucent or look milky and opaque. You apply it right after cleansing and before your toning step. I was really surprised by this product because I was at first put off by how strong the perfume fragrance was. After applying it the first time onto my face with my hands and letting it set, I really enjoyed the feeling of how hydrated my skin felt and the cooling sensation it gave. The strong perfume smell went away and I felt like my skincare products afterwards really applied and absorbed better. I thought that the more I used it and the lower it got, then it might be harder to get the product out of the small bottle, but it wasn't at all a problem and I have used a small amount each time. Seeing as I'm an avid Etude House sheet mask'er, it was nice to breach out and try other skincare products from them. I'm interested in possibly trying other things if I have the opportunity since I'm enjoying using this (especially as the colder months are coming, I'm saving the rest of it for when my skin is really feeling on the dry side). I'm happy with the inclusion of Niacinamide (yay brightening! ), Evening Primrose, and Soybean Ferment extract in the product! TonyMoly is another South Korean brand that has this youthful theme. 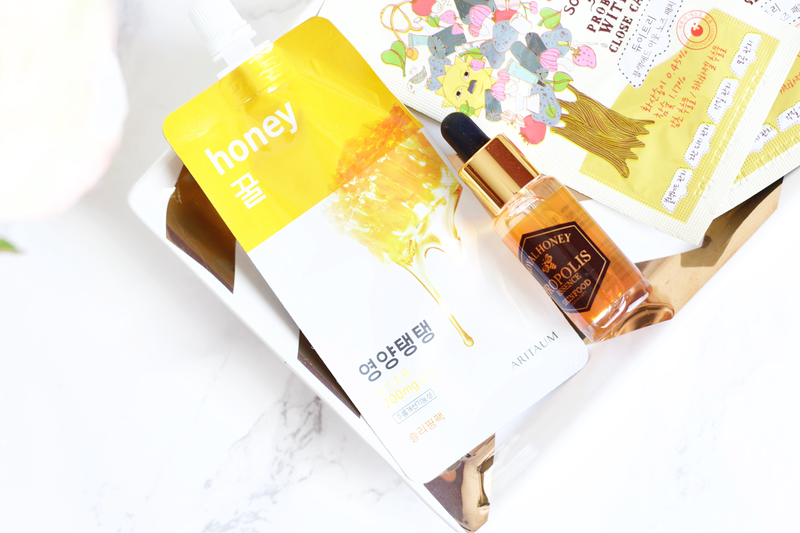 TonyMoly focuses on using high-quality products with natural ingredients like tea tree, honey, pomegranate, coffee and primrose. You might be most familiar with their animal and food shaped packaged products that seem to be all over the internet nowadays and easily found at places like Ulta, Cult Beauty, Urban Outfitters, etc. Their 'I'm Real' sheet masks seem to be quite a hit in the Western market, especially. Floria Nutra-Energy Emulsion is "an anti-wrinkle nutritious moisturizer that gives the skin ideal moisture balance and firming effect," working to make skin "healthy and radiant through the product's skin energy activating power." In Korean skincare, an emulsion refers to a lighter, non-sticky face moisturizer that works with skin's natural oils to promote hydration. This usually comes after your serum application but there are some emulsions that are specified to be used before your serum step. Emulsions make the skin much more suppler and softer, so they especially work well during the colder months to lock in the moisture. Emulsions are not supposed to take the place of your moisturizer, rather they are in compliment to it. Since they are so light in consistency, they are easily able to be layered afterwards with a moisturizer or lotion of whatever choosing. Some emulsions have great ingredients in them too (like treatments for brightening, anti-aging, etc), so sometimes including them in your routine can be vital. Emulsions really suit those who live in dry, humid climates, have combo/oily skin and need a light product, or dry/very dry skin and need extra moisturizing. This product has an airy perfume fragrance, much less than Etude House's, and is a light gel consistency. I actually started wearing this during the day and didn't have much problem during the time I was inside, but when I was outside I noticed that I would get oily much quicker than usual. 3B Box mentions that this product has anti-wrinkle properties and gives the skin a firming effect with continuous usage. The most difficult thing about this product is that it's so small due to it being a sample size, which makes it so hard to get the actual emulsion out of it. I had to scrape some product out every single time I wanted to use it. I did not use this too much because of that very issue but TonyMoly is a brand that I am interested in trying more of, regardless. I don't own any emulsions myself so this was nice to try out as an introduction! 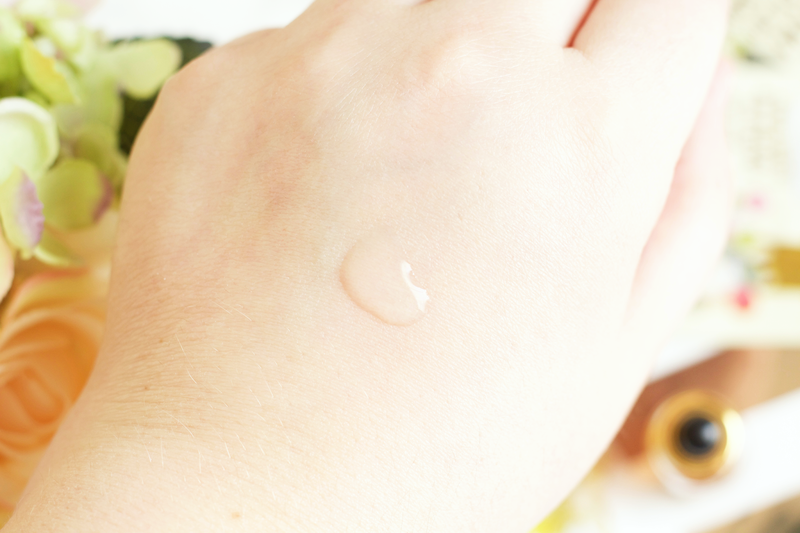 If you're interested in learning about the differences between toners/softeners, serums, essences, and ampoules in a Korean skincare routine (vs. Western), I highly suggest checking out Jennifer's post here. She's a big wealth of information! Ingredients (Tony Moly): cosDNA has the list of ingredients for the product. Goodal is a natural skincare brand that focuses on using fermented ingredients and essential oils to convey the pure and powerful energy of nature. Their main target audience is women who are interested in researching about ingredients and information themselves, rather than relying on big name reputation or trends to influence their decision making. Goodal is the combination of 'good' and 'all,' meaning "good formulations in cosmetics that capture all good things for people." Fermentation is a naturally occurring process by which yeast/carbohydrate produced enzymes work to break down large organic compounds into antioxidants, vitamins, amino acids, and rich probiotics (aka the 'good' bacteria) that are beneficial for the skin. It is therefore making those important substances more available to use and absorb. Goodal has a couple of different skincare lines, all working with different functions and treatments. 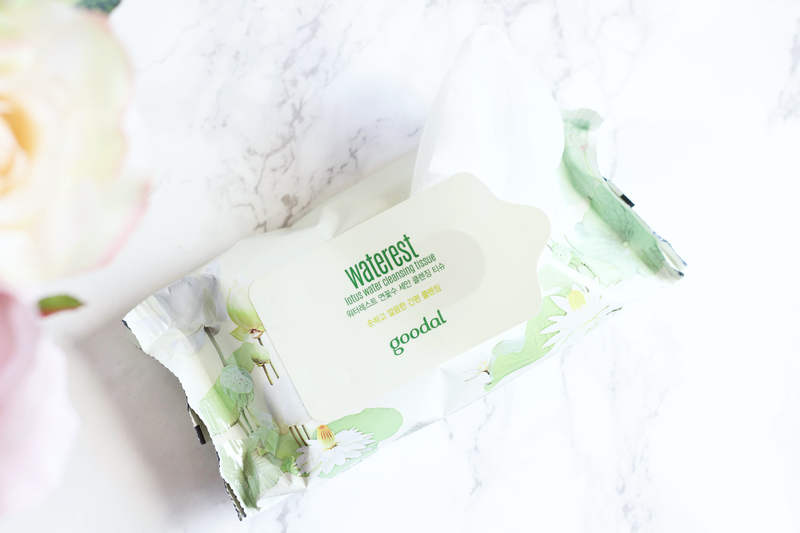 Lotus Water Cleansing Tissue is a no-rinse, pre-moistened cleansing wipe made with double fermented Lotus water. It's used to clean up even the heaviest amount of makeup with its high quality thick cotton fabric texture, making the skin feel hydrated and soft. The cotton is made with a cross-web technique, which is a unique technique that makes the fabric firm and stretch-resistant to help skin retain moisture without irritation. The fermentation of the Lotus water goes through two separate fermentations (one of the Lotus flower and one of culture yeast): first sitting for two weeks is the Lotus flower, then culture yeast in red clay pottery. The active yeast is added to the fermented Lotus water for the double fermentation process, which completes it. Lotus extract is an amazing ingredient, it works wonders for oily-acne skin and those with dry skin needing some extra moisture. I personally rarely use cleansing wipes and if I do I only use them in dire situations (like if I'm too exhausted to use a cleansing oil/balm to take off my makeup etc). This was nice to use when I was using only sunscreen or wearing some light makeup, but I found that it didn't do very well for my heavier makeup days (and when I mean heavy, I mean heaaaaaavy). I love the fresh, floral scent of the cleansing tissue and liked how soft it felt against my skin while cleansing off any oils or makeup residue. It's very much for those needing a soft, gentle product to help pre-cleanse the skin and help prep it for double cleansing. I think this is a great product to take if you're traveling and wearing light makeup, but you'll definitely need something a little bit more hard working to get rid of heavier makeup. It's a major plus that Goodal is a fermented skincare brand, as I spoke all about my love and the science of fermented skincare in one of my most recent posts here. I would totally buy this again just for the sake of it being fermented skincare and also for how lovely the scent and feeling I had while using it. I'd love to try more from this brand! Ingredients: cosDNA has the list of ingredients for this product. Leaders Cosmetics is a South Korean brand specializing in sheet masks, specifically made famous by their biocellulose coconut gel masks, and other cosmetics. Leaders was founded by dermatologists from Seoul National University, who aimed to create products that could be used as at-home remedies for patients who sought treatment at Leaders high-end spas and clinics. 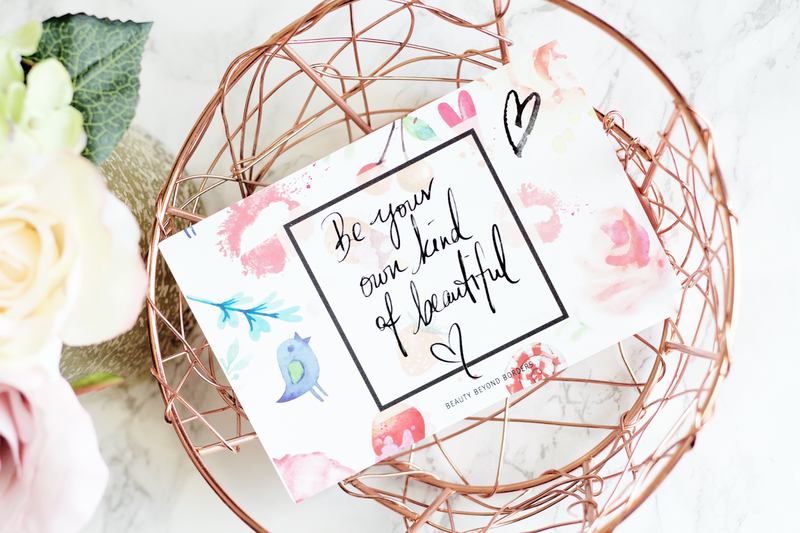 Leaders Cosmetics' mission is to "inspire the natural beauty that lies within in order to reveal a new confidence through healthy, glowing skin." By using their innovative technology and finest natural ingredients, they believe their high performance products help women and men achieve flawless skin with exquisite results. Through meticulous clinical testing, Leaders Cosmetics creates products that aim for maximum efficiency. Leaders Cosmetics has three different lines: Insolution (Safe, Effective and Correct daily skin care regimen for the health of you’re skin; designed to care for under-skin problems by offering a personalized cosmetic formula made with natural ingredients according to skin type), Mediu (Medicine for U; delivers the most ideal texture and functions to the skin through a daily system), and Life Source (innovative anti-aging line containing the patented stem cell protein AAPE; Advanced Adipose-derived stem cell Protein Extract is the ingredient acquired through the process of extractive protein from the stem cell, helps to regenerate your skin by supplying the energy of the stem cell culture fluid). Leaders Cosmetics makes coconut gel and cotton type sheet masks. Biocellulose coconut gel sheet masks are some of the best to use (especially fermented), since it has an amazing compatibility to adhere to skin, it's made from all natural and non-irritating materials, has a much stronger moisture locking capacity compared to cotton type masks, and allows you to get all of the rich ingredients and absorption of them in a much better way. Leaders Cosmetics does not use any four chemical additive parabens, alcohol, artificial coloring, or mineral oil in their products. Their cotton sheet masks work as specific target treatments, often for helping acne and pores, anti-aging, etc. 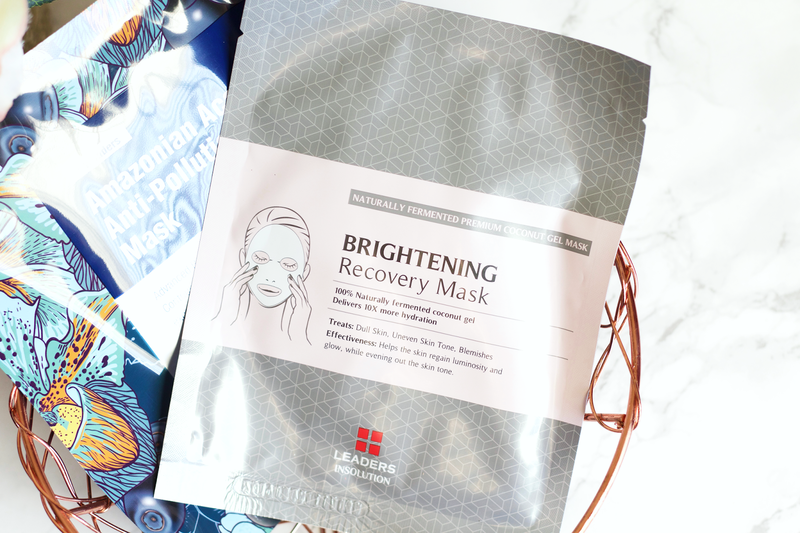 Leaders Insolution Brightening Recovery Mask is a "moisturizing mask that brightens dull and uneven skin tones while improving complexion and reducing discoloration." It is a biocellulose coconut gel mask and claims to restore vitality and luster to the skin with consistent usage. The coconut gel mask is made from all natural fermented coconut juice (sourced from Vietnam), which contains Vitamins B and C. Telagyn is an ingredient that works to improve skin tone along with Niacinamide, a skin brightener. Vitamin rich ingredients brighten complexion while extracts from plants and flowers help to heal discoloration. I am a biiiig fan of these kinds of coconut gel sheet masks, besides all of the brightening and yummy botanical extracts included. Especially since often times they leave some extra amount of essence that you can slather on after you've used your sheet mask. Leaders' coconut gel sheet masks leave a toooooon of essence after! I was super surprised! I left this one on for a little over 20-ish minutes and then put on the essence after by patting it into my skin. This was such a nice one! I'm not sure after one try that I can that it had any remarkable brightening effects for me but I know for sure I'd love to give it a few more tries. It adhered well to my round face and was super easy to take out of the packaging and unwrap. I give this one a big thumbs up! 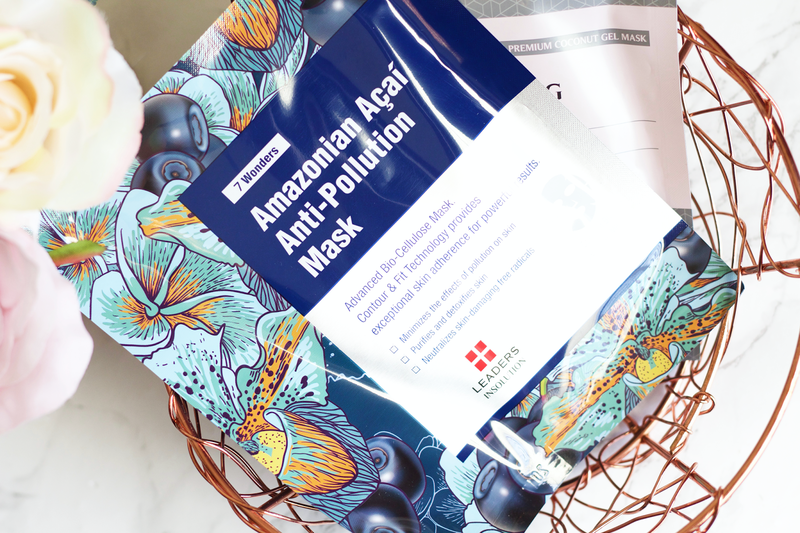 Leaders Insolution 7 Wonders Amazoninan Acai Anti-Pollution Mask helps to "purify and neutralize skin damaging free radicals and the effects of pollution" by using antioxidant-rich fruit Acai and other natural fruit and plant extracts to calm, sooth, and nourish the skin. Vitamin C, B, and E help protect, fortify and rejuvenate skin. 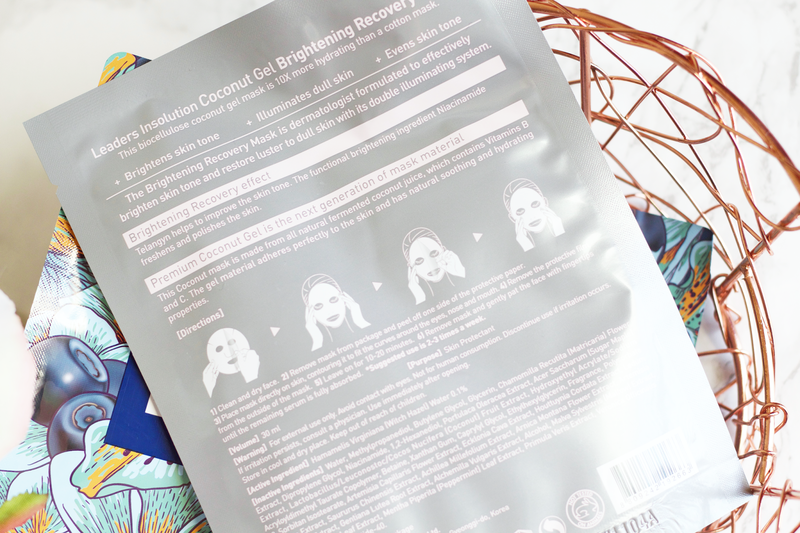 This sheet mask is also made out of biocellulose coconut gel and drenched in a full bottle of botanical extract packed serum. Witch Hazel is an active ingredient in both the Brightening Recovery Mask and this one, which I very much like since oily/acne skin really benefit a lot from that ingredient. Due to the calming and soothing nature of ingredients found in this mask, it also works well to treat damaged skin and irritation. I left this sheet mask on for about 25-ish minutes and it did both well to stay on my face and also absorb all of the cooling, beneficial nutrients into my skin. There was also a good amount of excess serum left in this sheet mask package as well (yay! ), so that was lovely to use afterwards. 3B Box says that they love to use this when their skin is irritated or experiencing any kind of skin damage, and I can truly agree that it helps in both of those cases as I've been going through a very rough patch with my skin and I can tell with one use it helped both the irritation and rough texture I've been dealing with. I'm so so happy that I got to try out these Leaders Insolution masks! I'm really interested in what else they have in their line and possibly finding an HG one, as I'm always on the lookout for new sheet masks to be addicted to. I've really been so impressed by The 3B Box and their Asian subscription box curation. I love the balance of products and how careful they were at sourcing from brands that are really of such high quality. For any of the subscription choices, it's a steal. Be sure to check out their online shop! Do you follow an Asian skincare routine? What are your favorite products to use? *This product has been kindly PR gifted from The 3B Box. See my disclaimer for more information.